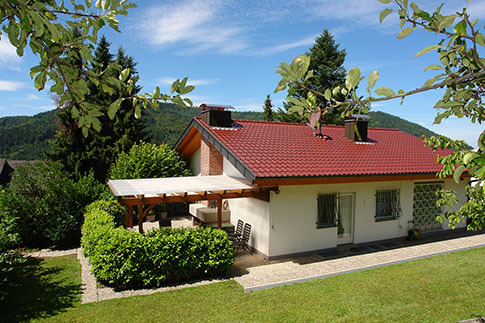 Talblick House This residence is located on a large (1120 m² - 12056 sq.ft. - 0,28 acre) sunny lot, in a quiet exclusive neigbourhood, overlooking the delightful Schutter valley. Since apartments 1 and 2 are in the same house (but on different floors with separate entrances), the two apartments could also be rented together to accommodate at least 8 people comfortably. Come and see it and you will come again !